Product prices and availability are accurate as of 2019-04-21 17:52:48 +08 and are subject to change. Any price and availability information displayed on http://www.amazon.com/ at the time of purchase will apply to the purchase of this product. 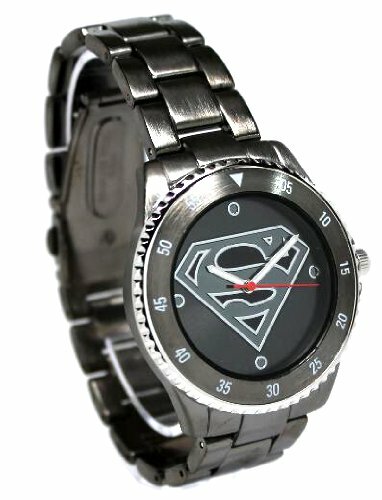 Superman watch that follows the classic look and feel and is strong enough to withstand the effects of Kryptonite. 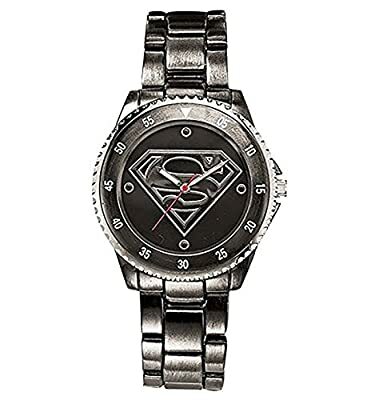 This is a young adult / adult sized watch that features the Man of Steel insignia. Uses Japan movement. Stainless steel caseback. The bracelet is gun metal toned in stainless steel with a matte finish. 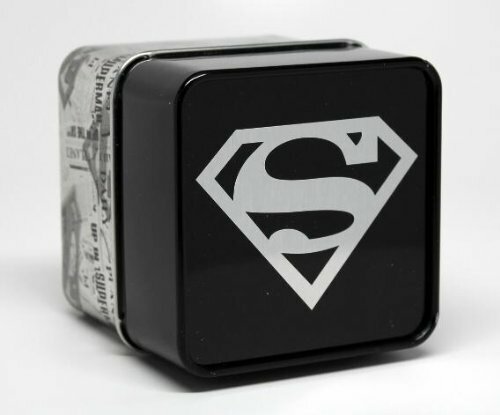 Perfect for the Superman in your life. Watch is shipped with a crown stopper, protective film of the glass/crystal, and a protective film/sticker on the caseback. The crown stopper prolongs the battery. Watch is about 10.5 inches long. Bracelet is 1 inches wide. Watch case measures about 1.7 inches in diameter. Watch is about 8.5 inches long.